Garage doors come in a wide range of designs, styles, and sizes, meant to suit different needs of different homeowners. If you intend to purchase a new one, it is important for you to first consider a number of factors that can influence your daily convenience, safety and comfort. They will determine whether your new door will be able to last longer, and require less frequent repairs and maintenance work. There are different types of doors for you to choose from and each one of them is suited for different circumstances. For example, roll up doors can be perfect for garages that don't have a lot of backroom space available. 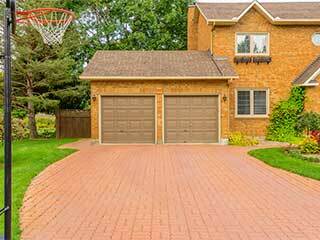 On the other hand, there are those that are designed for garages that have a fairly long driveway, such as an up and over door. It's also important that you choose the right material depending on both your personal preference and your local weather conditions. Wood, for example, can be an excellent choice because of its insulation qualities and aesthetic appearance. However, it will require more frequent maintenance than other materials. Steel can be an excellent choice for boosting up your home's security, as it is very strong and durable. But it is also heavier and will require a much more powerful opener. Most types of doors will support both a sectional or a single panel build. The main differences are in their insulation qualities and their repairability. Sectional doors that get damaged will only need to have their affected panels replaced, as opposed to the door in its entirety. Single panel doors will be able to be much more insulating and will offer you better protection from pests and strong weather. However, if they get damaged, they will more than likely need to be completely replaced. Of course, depending on which door you choose and what material it will be made of, will determine the horsepower output your electric garage door openers will need to produce. Heavier doors will require a more powerful unit, as it will affect not only their opening and closing speed, but also their potential to malfunction due to overstraining. Our experts at Garage Door Repair Elmhurst can help you find the perfect new door for you and install it to perfection.